It’s not unusual for farm family members to have jobs in town. But Carol Sisco of Burchard, Neb., has one that’s a little unusual: she’s the editor of a weekly newspaper, the Pawnee Republican. It’s a perfect fit for her, she says, because neither farming nor journalism have regular hours and she can balance the two. Carol grew up on a farm in Sarpy County and earned a degree from Doane College in English, language arts and education. She was teaching in Humboldt in 1987 when she and a girlfriend went to a fair in nearby Table Rock. That’s where she met Paul, whose family has farmed in the Burchard area for several generations. They’ve been married since 1988. The Siscos farm north and south of Burchard and live east of the town. They have a Black Angus cow/calf herd and grow corn and soybeans, and alfalfa and prairie hay to keep the cattle through the winter. Every once in a while they’ll try wheat or oats. In 1992, she was recruited to gather the local news for the Pawnee newspaper. “They said: ‘You’re an English teacher, you can do this,’” Carol recalls, and she did – earning the princely sum of 10 cents a column inch PLUS the postage to mail her articles to the newspaper. Before too long, she was asked to be the fill-in typesetter at the paper. If she found an error in someone’s copy, she fixed it: “I couldn’t type it wrong – the English teacher in me would fix it.” Next came reports of news from her local area and a humorous article that led to a regular weekly column – and eventually to being the newspaper’s editor. 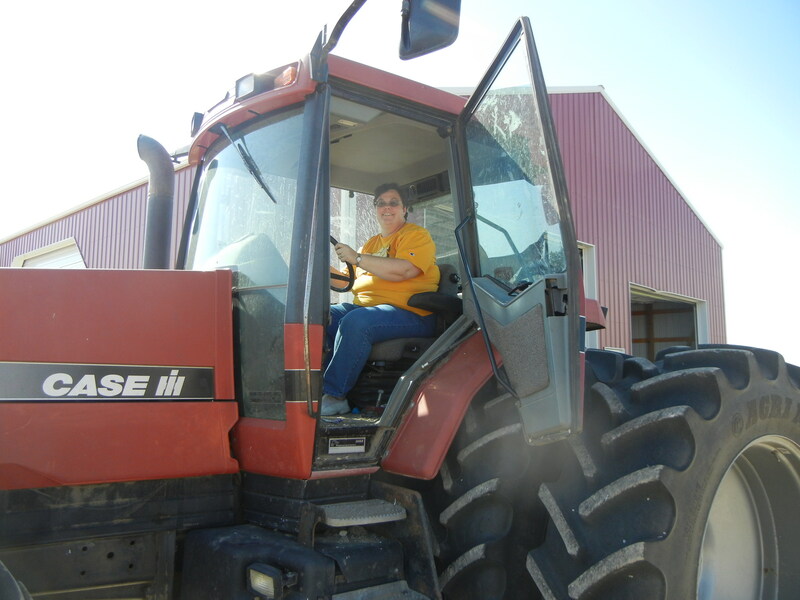 She continues to write her column (which is also published in the Tecumseh Chieftain) and the topic often has something to do with agriculture. “Most farmers are interested in making a profit and to do that we have to be good stewards,” she explains. “We’re trying to do what’s best for the land and our animals. We really do care about the creatures. My dad had a saying: ‘Chickens are people too,’” and that guided the care her family gave their livestock. 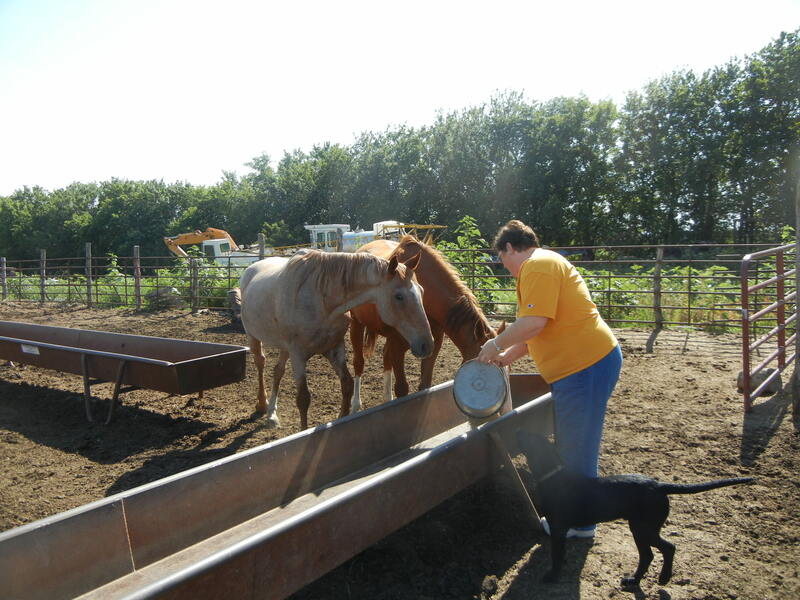 Carol does all kinds of farm work and helps with the cattle. She takes a lot of lunches to the field and is a gopher for parts. If his equipment won’t work at all without the part, Paul joins her on the parts run: “That’s our alone time,” she jokes. Carol and Paul have three children. Paige, 17, will be a high school senior at Lewiston this fall and is interested in a medical career, like her sister, Bonnie, 19, who’s studying pre-med at Wayne State College. Their brother Adam, 21, farms with Paul and is working on a beginning farmer loan application to buy a piece of ground. Several years ago, Carol was recruited to fill out Pawnee County Farm Bureau’s nomination slate and was elected along with everyone else on the ballot. Soon she was a delegate to the state convention, where her education background enabled her to add to the discussion on a home school issue. “Everybody listened to me even though I was new, and I thought it made a difference. I had the chance to be every bit as influential as the guys who had been doing it (serving as delegates) a long time,” she recalls. Continue to check back to the blog each Thursday to get to know more farmers and ranchers from across Nebraska as they share their everyday stories. 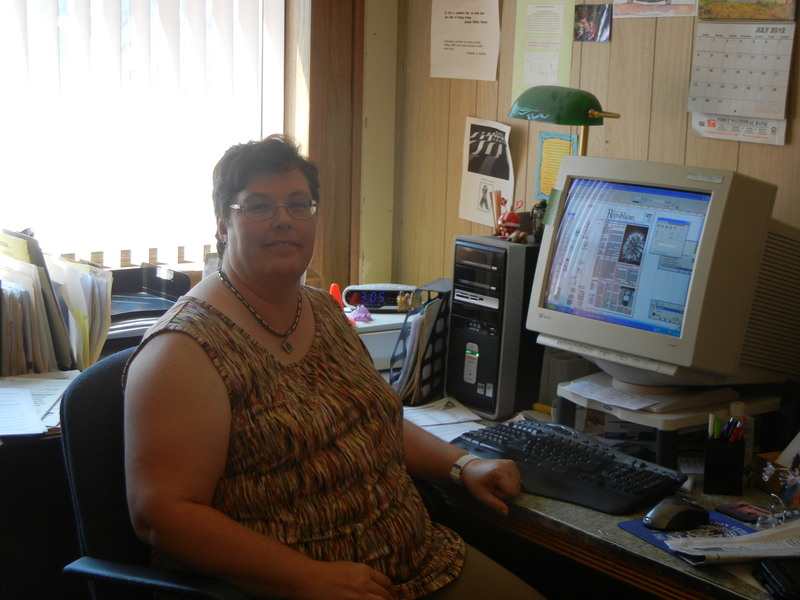 And to read past farmer and rancher profiles, click here.